Just over a year old, LibraryThing has become the place to list your books and share information about your collection. It is a site for book lovers who want to get organised, and get connected to others with interests similar to their own. To set up all you need is a username and password. (An email address is only needed to retrieve a lost or forgotten password and can be kept private.) Once you have completed these steps, you can start work on your own LibraryThing. But why would you want to??? Get information about your listed books from Google Books – including a summary, details about the author and other googled information. Continue till you have your ‘library’ added. 3. You can then view your library by clicking on the Your Library tab. Here, you can alter the way you view your library, add or edit details, enter your own tags, and give your books a rating – all by double clicking in the appropriate box. The column to the far right gives detail about how many other users also have a particular book, and from here you can also edit details. 3. Comment on how much (and what) information you might place in your LibraryThing profile and why. What approach do we need to model here for students? I’ve just had my first look at LibraryThing and signed up for an account so that I can have a play with it. It’s incredibly easy to use and looks like plenty of fun for people who want to talk about books but whose friends think their choices odd or uninteresting. I’m looking forward to spending some time finding out what other Maths fans are reading about in terms of history and philosophy. Have just signed up for a LibraryThing account. Was amazing – added the titles City of Ember and The people of Sparks and in doing so found 2 more books in the series – a prequel and a third title which follows The People of Sparks. Unable to remember titles but I know where to go to locate these. 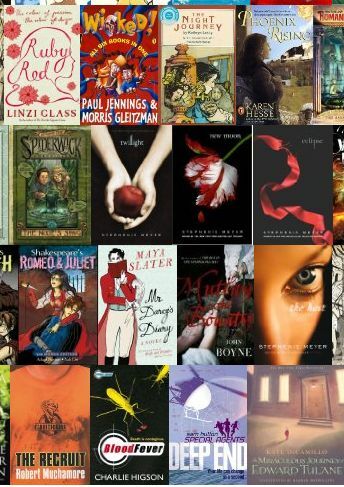 Also added my favourite book – The Book Thief and there were over 70 covers available – this is an interesting aspect to consider. Will continue to add to my Library! Another TL and I were wondering the other day about an Australian version of Library Thing. How could it work and would it be valuable? It sometimes takes a while to get new Australian fiction showing on LT, even using some of the alternate searches. In the meantime, LT has lots to offer.